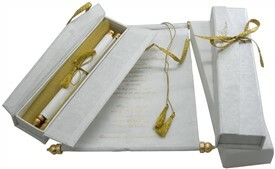 Description: The real sense of class and exclusivity! 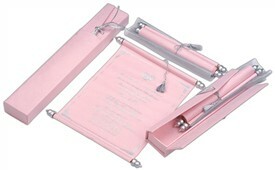 It’s a Box scroll card for the real ones who relish creative communication. . 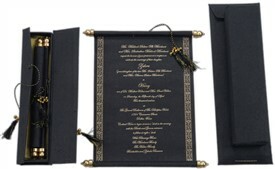 The scroll card is in blue handmade silk paper sheet, there are silver design bars framing it and is tied by a silver tassel. 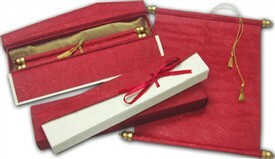 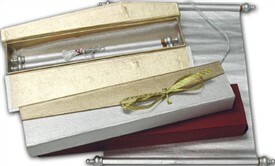 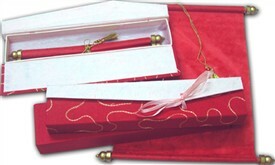 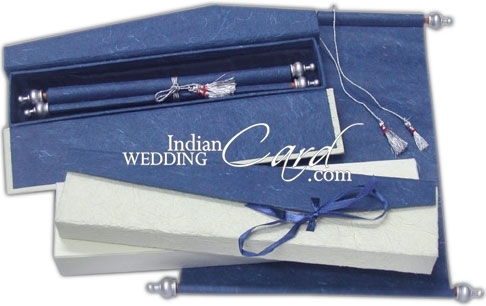 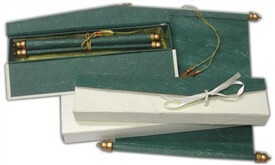 The scroll card is encased in a beautifully designed blue handmade silk paper and cream handmade paper combination box. 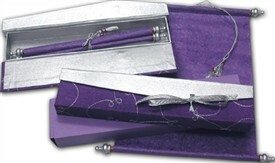 A blue satin silk ribbon ties the box case.